Beyond the materials that we usually find on terraces and exterior flooring such as terracotta, natural stone and wood, Porcelanosa and Venis propose making the most of terraces and outdoor spaces with a new way of thinking in design, thanks to their durable, long-lasting ceramic floorings which, furthermore, require limited maintenance. 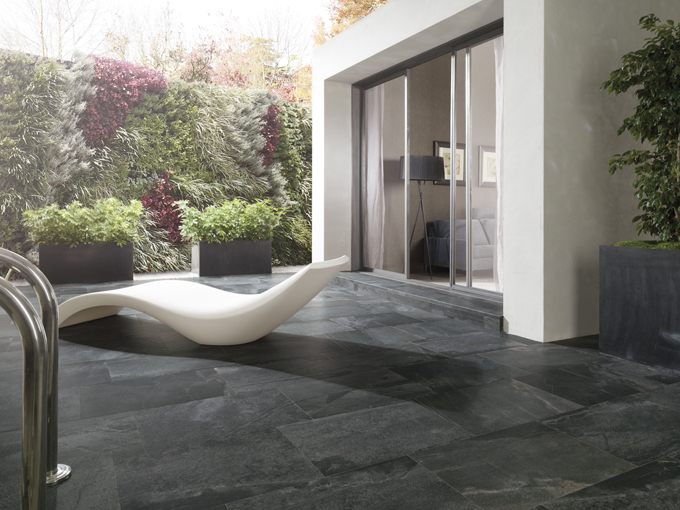 With a finish that simulates the apparent fragility and irregularities typical of slate, Porcelanosa’s Pekin Caldera Antislip ceramic flooring offers a wide variety of possibilities with colour combinations which combine rust tones with darker grey tones. 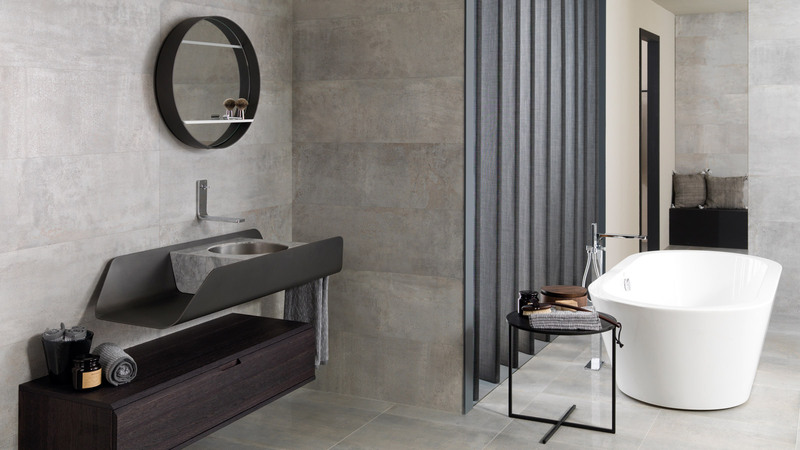 Porcelanosa’s Samoa Antislip ceramic stone perfectly imitates the natural grain, cracks and fissures of quartzite, also offering an extraordinary durability, with exotic, elegant finishes. 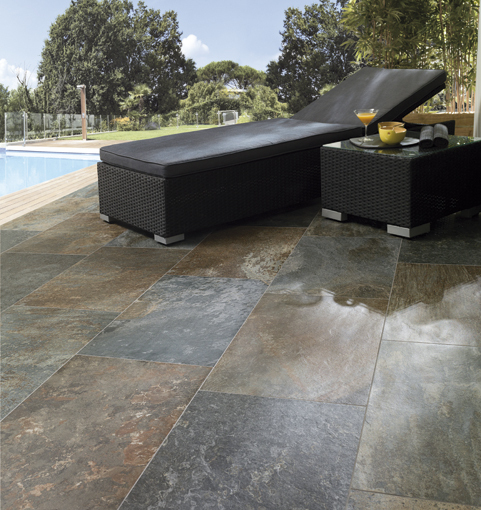 The antislip format, suitable for exteriors, is available in 43.5×65.9cm size, and is available in the three colours of the collection – Antracita, Silver and Topo. 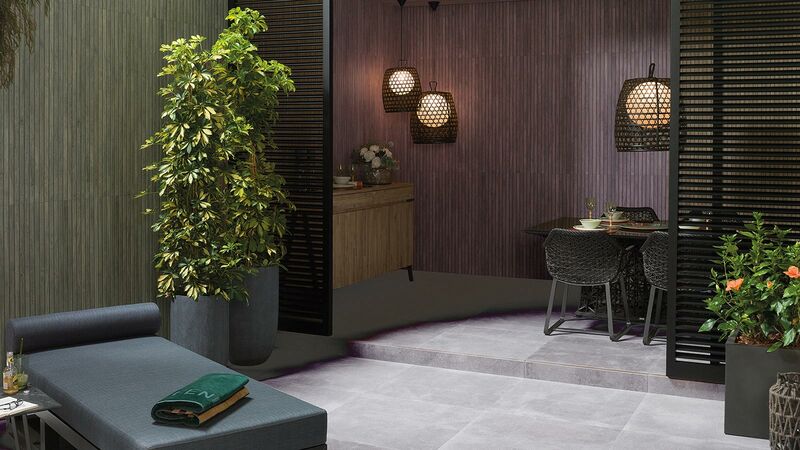 The Slim 19.3x120cm format of the pieces of Venis’ Tavola Foresta Antislip ceramic parquet produces an elegant and safe finish, as it provides a high resistance to slipping. For this reason it can also be fitted in damp areas. 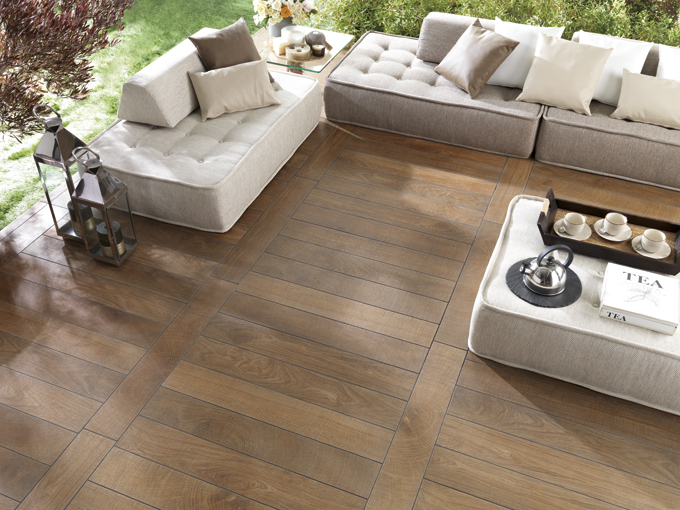 Ideal for achieving romantic atmospheres, Porcelanosa’s Par-ker model Oxford Antislip reproduces the essence of oak. To achieve its slip resistant surface, an advanced technique has been applied using nanotechnology, producing an even, smooth texture, but with a high antislip coefficient. 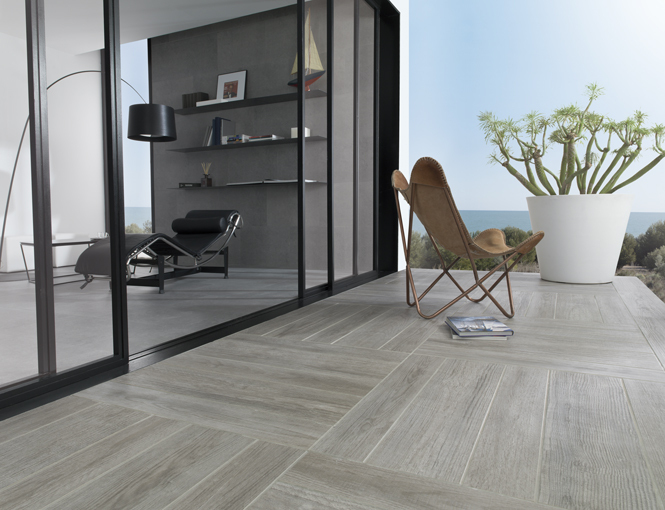 In its antislip version, this ceramic parquet is available in Antracita, Silver, Acero, Castaño, Cognac, Natural and Black tones. 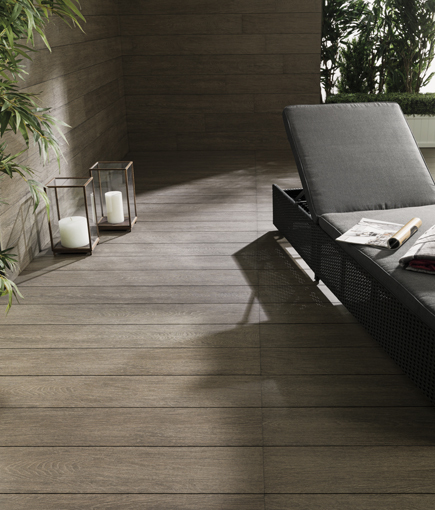 Available in 22x90cm and 14.3x90cm formats, Venis’ Hampton Grey ceramic parquet is the perfect option to create welcoming outdoor spaces with the warmth that only natural wood is capable of transmitting.